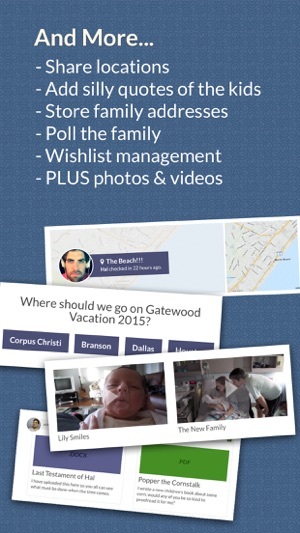 Zalongo is more than just photos & videos, see all our features to keep your family connected. The Zalongo home section is customizable based on your desired needs. 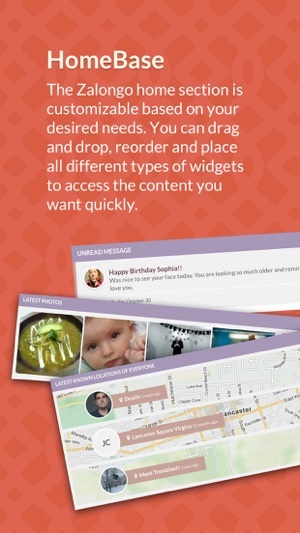 You can drag and drop, reorder and place all different types of widgets to access the content you want quickly. Share the love and pass the salt. Add photos, ingredients and instructions for those top secret recipes and make your holiday meals amazing. Know exactly where everyone in your family is located with private check-ins. Great for road trips, meeting up at the game or making sure Bobby went to his friend's house. Document the funny and weird things you say. Great for saving those cute things your child says when they're half asleep or just keeping track of inside jokes. 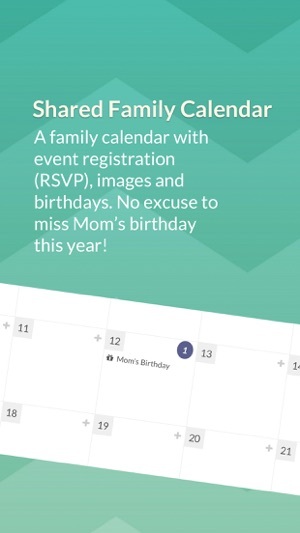 A family calendar with event registration (RSVP), images and birthdays. Great for shared vacation properties, Family Sports games or just remembering Mom's birthday! Get opinions from people you actually care to hear what they have to say. Wish for items by adding titles, descriptions, photos and links to the exact items you want. There will be no excuses. You can also specify to other family members which gifts you've purchased. Adding documents (like Wills and Last Testaments) is great for really important stuff or just when you need a little help from those you care about the most. Store addresses, phone numbers, Skype usernames and more with this handy contacts book. Get important info about your family when you need it. Easily manage your photos into digital albums. It's like the old times except with a little less dust. When new photos are added to an album, that album jumps to the front of the pack. Share and comment on photos and videos. It's easy, fun. You can also add stories about each item and quickly beam them between your multiple families. I recently downloaded the latest operating system to my iPhone and it's not allowing me to upload anything to the website (videos or photos). Our family loves this website and utilizes it. The kids love to create surveys and posts photos of their recent adventures. All it needs is a better calendar, and the ability to turn other members into administrators. Despite these small shortcomings this is definitely the best app I have been able to find for family coordination! 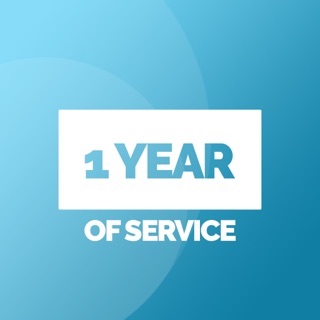 Gives your group one year of service.